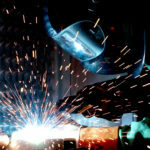 Welding is an important aspect in the field of engineering as well as in the field of the machining. In this digital world, there are many welding processes which are in practice. They can be manual processes or fully automatic. Today, we will learn the entire concept of the forge welding. So, stay tuned. 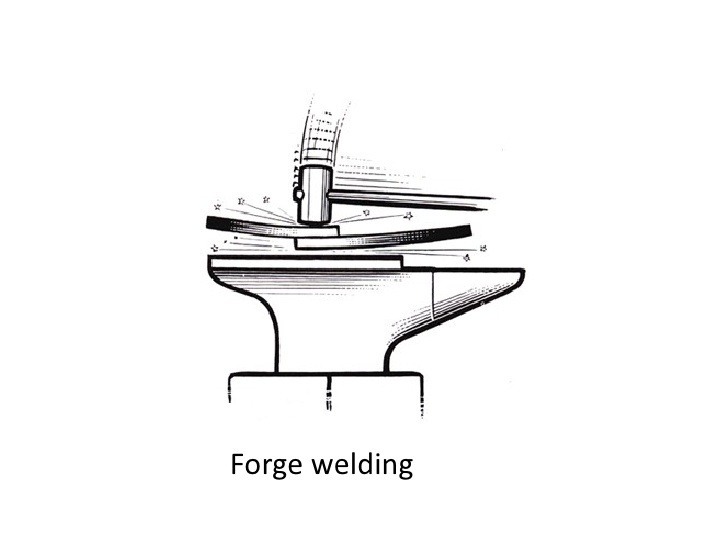 Basically, forge welding is the type of solid state welding process in which two metal pieces are first heated and then, they are joined. 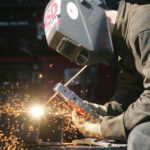 During this welding technique, a process of hammering is also being carried out. It is considered as the oldest method of welding. In the previous century, this welding process is done mostly manually. But as the technology is evolving day by day, the automatic forge welding has been invented. This welding technique is the first type of the welding process that ever has been discovered by human beings. It was founded around 1800 BC in the Anatolia. In today’s world, Turkey is considered as the major component of the Anatolia. In this welding technique, two metals pieces are heated below their melting temperature. You can also say that the metals are heated in such a way that they should reach their plastic condition. Generally, this heating temperature is below 1000 ºC. But for some metals, this heating temperature may be above 1000 ºC. This heating temperature may vary from metal to metal. So, here the care should be taken that you must not heat the workpieces or the metal above its melting temperature and just heat it in such a way that it will reach its plastic condition. What after the heating of the metal pieces? 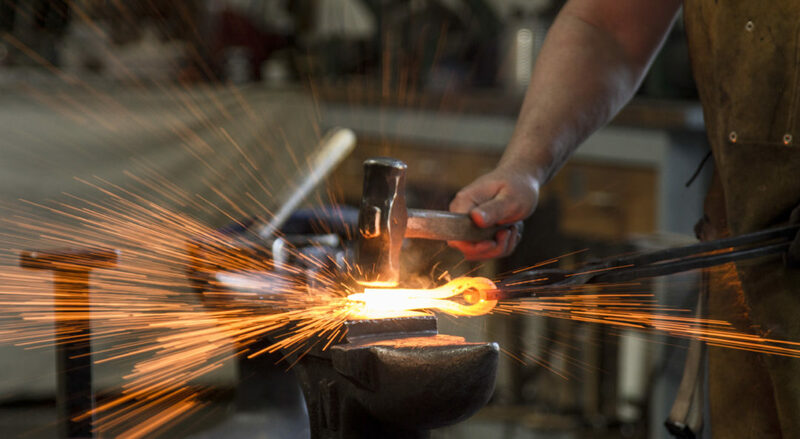 After the heating process is done, a process of hammering is carried out. The metal pieces are hammered in such a way that they will undergo a process of diffusion. Sometimes, instead of the hammering, an external force is applied to the metal pieces so that they will join perfectly. 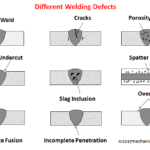 Whether you apply the external force or you do the hammering process, a care should be taken is that there must be the formation of the strong weld at the joint. It is possible that while this welding technique, oxidation at the weld surface may take place. So, to prevent this oxidation, a flux is used. 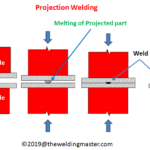 Above image will help in understanding the exact working of this welding technique. Here, you can see the two metal pieces are first gets heated and then the hammer is used to join the two metal pieces. For the Soft Carbon Steel: The temperature must be in between 1250 ºC to 1300 ºC. 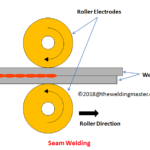 Such a welding process is used for the manufacturing of the crankshaft. Many of us like the shape as well as a structure of the shotgun barrels. And this welding technique is also used in the production of the shotgun barrels. The bicycles that we ride on our daily basis are also being manufactured with the help of this welding technique. As above mentioned, nowadays the concept of automatic forge welding is discovered. Such welding is used in the automobile industry. All the types of machines related to the farming are developed with the help of such welding technique. As the purpose of any welding process is to obtain the best quality weld at the joint, this purpose is achieved by this welding process. It gives us a clear joint easily and quickly. During this process, a little amount of the noise is created and due to this, forge welding is considered as the best among all the welding processes. Unlike other welding processes, this welding technique requires no filler metal. Do you want to produce the welds with the high strength? Then, this is the perfect welding process for you. It gives rise to the welds of the higher strength along with the neat and crystal-clear weld. During this welding process, you must have a skilled labor. Its operating is quite difficult, so you must have the proper skills to carry out this process. This welding process is considered as the slow welding process as manually doing this welding is a quite time-consuming process. Sometimes there are chances that the contamination of the weld with the coke may take place. Care should be taken so that such contamination will not happen. While implementing this welding process, people should not try to hammer too hard. As hammering too hard will effect on the entire welding process and you will not get the high-quality weld at the joint that you wanted. This is all about the forge welding. 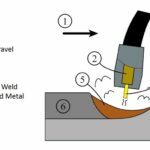 In this article, we come across the principle, advantages, disadvantages as well as applications of this incredible welding technique. Hope you got this concept. If you have any doubts feel free to comment below. We are always here to help you!